Board meeting was held at Bob Evan’s Restaurant on Transit Rd., Williamsville, N.Y. In attendance were board members; Pat Zbock, Pat King, Bob McEntee, Edwin Sutton, and Corky Sutton. Also in attendance were adult members; Diane McEntee, Paul Lukowski, Ronald Kucinski, Betsy Kubiak, and new member Debra Kucinski, youth member Veronica Kucinski and guest Mike Zbock. Meeting was called to order at 7:35 p.m. by President, Pat Zbock. Secretary reported on July picnic meeting. Motion to accept by Diane McEntee and second by Betsy Kubiak. Treasurer, Pat King gave the financials of the club. She stated the profits of the 3 open shows and the profit from the Eastern Classic show. Pat said for the time of year it is our accounts are looking healthy. Motion to accept by Betsy Kubiak, second by Edwin Sutton. Correspondance: We discussed and nominated two members for the AHA club volunteer service awards. Discussed highscore banquet and Pat will be in touch with Becky Haslinger, who has organized the banquet the past few years. High Score: It was mentioned and suggested that a high score committee hold a meeting to discuss plans for the award for the banquet dinner in January. Ann Hertel is the chairperson of this committee. 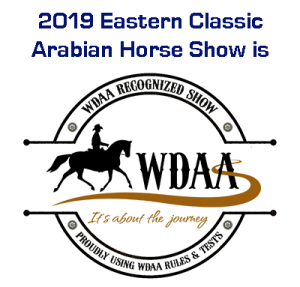 Eastern Classic Horse Show: The 2013 show will be held on June 7th – 9th. Main ring judge will be Lori Conway, and sport horse/dressage judge will be Davida (DeDe) Bierbrauer. We will be having a show committee forming in the fall. Anyone wishing to be on the committee please contact Bob @ bobmc36@aol.com. This committee will also be the sponsorship committee members. New Business: Motion was made by a life time member that all life time members (4), should also pay club dues. This would be $20 per year or $30 for 3 yrs. The four life time members will receive a billing invoice in December, 2012 for dues for Jan. 2013 thru Dec 2013. The board voted to accept this motion. Future meetings: Next board meeting will be Wednesday, Sept 12, 2012 at the Buffalo Brew House on Main St. and Transit Rd., Williamsville at 7:00. Monthly membership meeting on Sat. Sept., 15, 2012 place tba. October election meeting on Oct. 6th, 2012, tba. Motion to adjours meeting at 9:20 p.m. by Diane McEntee and second by Pat King.